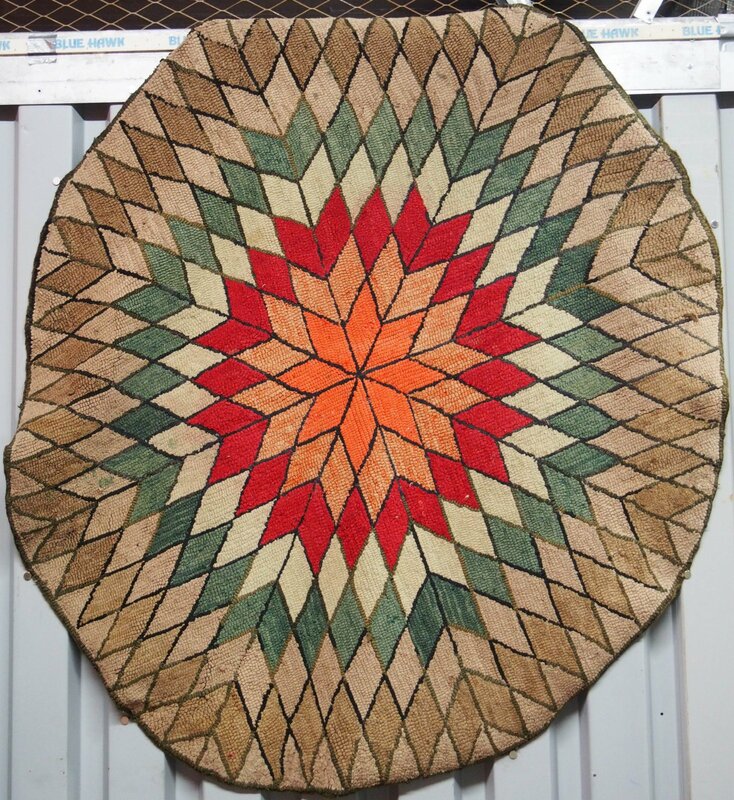 Like a pieced star quilt pattern, this rug used colors in concentric circles also. The palette is rich and late 19th century. A Massachusetts rug company of Ralph Burnham was the source of similarly executed star patterns typically seen in rectangular examples, and we think this is an unusual iteration from the same company. Bad photo, great and hard to find example.